English teacher. When not busy writing or teaching, she can be found traveling and blogging about her adventures. 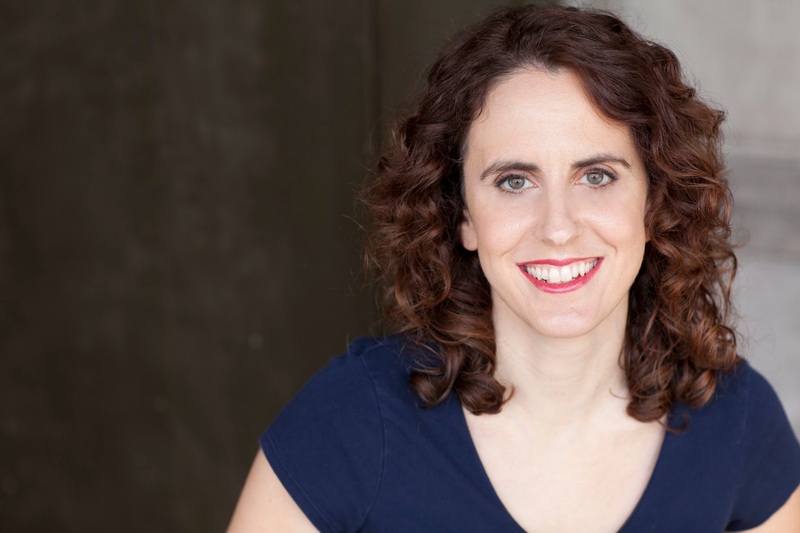 Her debut novel Angelhood was released in April 2015 and immediately became an Amazon bestseller for Christian young adult fiction on social issues. Welcome, A.J. If you could have dinner with one person (except Jesus) from today or history, who would it be? If I could have dinner with anyone, I would like to chat with L.M. Montgomery. Her book, Anne of Green Gables, played a key role in my career choices (teacher and writer), and I'd like to know more about her writing process and what advice she might have for me. My favorite vacation spot is Italy. In fact, I'm typing this blog post from an apartment in Florence! This is the second summer that I've spent studying Italian in Italy, and I think it's a great way to get to know the people, their culture, and their language. God willing, I'll be fluent in Italian someday. If you want to read about my adventures here (which include running into Ben Stiller, being left speechless by a Swiss Guard, and having an epiphany moment in a church), you can check out my daily blogging entries from this trip on my website. Writing helps me figure out my world. I keep a prayer journal, and for me, it's cultivated some of my best prayer moments. Writing forces me to slow down my thinking process and really evaluate a situation. Sometimes I do this through my nonfiction writing, but even my fiction writing helps me to have these "lightbulb" moments that help me see the world in a clearer way. With the incredible number of books being published today, it's easy for any author to get lost in the shuffle. The best thing fans can do is to help spread the word about their favorite books. Recommend them to friends. Post a review on Amazon, Goodreads, and Barnes and Noble. Tell all your Facebook, Twitter, and Instagram followers how much you loved this book. Simply put, encourage as many people as you can to read the book. Or even just ask your local library to purchase a copy so that lots of other people will have a chance to read it. Please tell us a little about Angelhood. Seventeen-year-old theater geek Nanette believes her life is headed toward stardom on Broadway. But when her dream theater college rejects her and her best friend dies in a terrible accident, Nanette decides the world would be better off without her. Unfortunately, the afterlife offers something less than a heavenly situation. Trapped between alternating periods of darkness and light, Nanette is stuck following around a high school freshman. Soon, she learns she's a guardian angel, and the only way she can earn her wings is to keep her young charge, Vera, from committing the same sin she did--taking her own life. 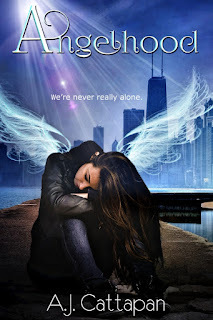 Where can readers purchase Angelhood? Thank you A.J. for visiting with my readers today. One commenter will win an eBook copy of Angelhood, which you've offered. The winner of last Thursday’s blog post for a copy of Gone Without a Trace by Patricia Bradley is trosado. I’ll email you. Thanks all for commenting. Watch for more book giveaways. Sounds like a good read. Thanks for the chance to win. Thanks for stopping by, Brenda! Good luck winning the book! How fun that sounds to be vacationing in Italy! I'd love to go there some day. Angelhood sounds like a book I would enjoy. I highly recommend visiting Italy. You can't beat it for history, art, culture, and great food. If you'd like to live vicariously, you can read about my travels on my website. I blogged every day of my trip. What can I say? I'm a writer. I process my thoughts (even my travels) via writing. rubynreba, thanks for leaving your comment and for following my blog! The storyline seems very prevalent because so many young people are choosing to solve their problems by taking their lives. So sad and so unnecessary! Connie, thanks for stopping by and leaving your comment. I appreciate your following my blog! You're right, Connie. Sadly, many young people (and even adults) are choosing to end their lives. That's part of what persuaded me to seek publication with this book. Thanks for stopping by!